Warning: you've just discovered a hidden treasure that will change the way you work. That’s right - this Ariat Work FR AC 10019015 Silver Fox Men's Long-Sleeve Shirt was made to make your job easier, safer, and whole lot more comfortable. The Ariat shirt’s athl ... (see full details) (see specifications) #10019015. Warning: you've just discovered a hidden treasure that will change the way you work. That’s right - this Ariat Work FR AC 10019015 Silver Fox Men's Long-Sleeve Shirt was made to make your job easier, safer, and whole lot more comfortable. 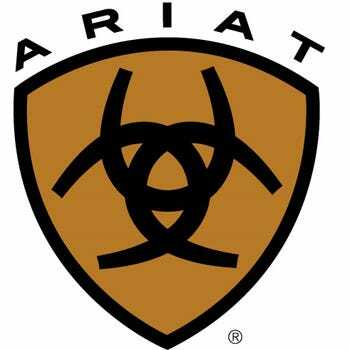 The Ariat shirt’s athletic design and soft fabric will allow you to work in complete freedom of your movement. The safety features will keep you protected from dangers, like fire hazards, in the work field. The handsome look of this snazzy men's shirt is just an added bonus to its superior flame-resistant protection. Built to be the best is an understatement. This Ariat Silver Fox long-sleeve work shirt is truly different from anything you’ve ever worn. It's constructed with 7.2 ounces of 100% FR jersey cotton fabric. The lightweight fit will keep you cool and comfortable while you work. The top-grade brushed cotton will feel soft against your skin to ensure you feel ultimate comfort while you work. For additional comfort, this silver grey shirt features taped inside seams that eliminate neck irritation. The cotton is also very durable and built to fight against the most demanding days on the job. You do not want to miss out on this unique construction! The FR fabric is made to protect you. Its flame-resistant finish will keep you guarded against heated danger is the workplace. The durable fabric is rated to meet CAT 2 and ATPV 8.9 (cal/cm2) FR standards, which means the flame-resistant long-sleeve shirt qualifies as very protective workwear for the workplace. This FR shirt also features a level of safety that guards against electric arc flash. The features meet NFPA 70E and NFPA 2112 standards, too. You’re a man, and even though you sometimes hate to admit it, you sometimes sweat. It’s nothing to be ashamed about because it shows that you know how to work hard. Let this Ariat men’s flame-resistant work shirt help you with your excessive amount moisture. This FR men's shirt is built with a moisture management technology that works by pulling perspiration to the outside of the garment to help it dry quickly. This helps keep you cool and fresh all day long. Nobody likes work clothing that's tight, restrictive, or limiting. If you do, you might be from another planet because being uncomfortable while you work is, hands down, the worst feeling ever. That’s why Ariat designed this FR workwear with their Greater Arm Mobility (GAM) technology. This sleeve technology puts extra fabric in the under arm gussets of the Silver Fox shirt to give you a full range of motion. This allows you to work in quick, comfortable movements. The design also has extended inseams on the sleeves and shirt tail to ensure this Ariat shirt doesn’t ride up while you work. There’s nothing wrong with wanting to wear clothing that looks professional and clean on the job. Most employers love a worker who knows how to dress properly. This Ariat FR workwear will give you a style advantage in your work field. The rich Silver Fox grey-colored fabric gives off a professional, sophisticated look. Plus, this color will match perfectly with a variety of work pants. The long-sleeve design gives you better coverage and offers a better fit. This design also features a rib knit collar and rib knit cuffs for a cleaner finish and a more durable build. Collect the treasure you discovered by adding this Ariat Work FR AC 10019015 Silver Fox Grey Men's Long-Sleeve Shirt to your Working Person's Store online shopping cart now. It will offer a layer of fire-resistant protection you need and comfort you want while you work! This is a pricey alternative to a long john top but wearing it for the first time I could completely understand the pricey and the requirement that went into it to make it flame resistant. I layer this top with other items that are flame resistant and it makes a great combo and twice the layer of protection. The shirt is comfortable and stylish. Great fit. Color is good. Wish it had a pocket or pockets. Good length. Would order again. I would recommend this to others to buy. Good price. Easy to have embroidery put on. Wouldn't recommend this shirt if you were going to be very dirty only due to the pricing. I am glad that I was able to find something other then black clothes to wear. Being a lady I like to color match and have options but am limited with what meets the requirements. I stilled some reflective piping on mine for use in low light and dark areas and it blends in very well with the silver color. Ariat Work FR Shirts: FR AC 10019015 Silver Fox Men's Long-Sleeve Shirt is being added to your cart.